What Good Are Mosquitoes for the World? Not much love is lost between people and mosquitoes. If insects can be credited with evil intent, mosquitoes seem determined to wipe out the human race. As carriers of deadly diseases, mosquitoes are the deadliest insect on Earth. Each year, hundreds of thousands of people die from malaria, dengue fever, and yellow fever after being bitten by a disease-carrying, blood-sucking mosquito. The Zika virus can harm fetuses if a pregnant woman gets bitten, and chikungunya can cause debilitating joint pain. If these diseases affect a large population at once, the outbreak can overwhelm local health care, the UN reports. Mosquitoes also carry diseases that pose serious threats to livestock and pets. At the very least, these bloodthirsty insects are major annoyances, biting humans with a persistence that can be maddening. Knowing this, is there an intrinsic value to keeping them around? If we could, should we just eradicate them all off the face of the earth? The answer is mosquitoes do have value. Scientists are divided as to whether they're worth it, though. Mosquitoes populated this planet long before man; the oldest mosquito fossils date back some 200 million years, to the Cretaceous period. More than 3,500 species of mosquitoes have already been described from various parts of the world, of which only a few hundred species bite or bother humans. In fact, only female mosquitoes bite humans. Males lack the parts to penetrate human skin. Many scientists agree that mosquitoes present more of a hassle than they have value. The mere fact that they are the reason for so many human deaths a year is reason enough to wipe them off the planet. However, mosquitoes serve important functions in numerous ecosystems, serving as food for many species, helping filter detritus for plant life to thrive, pollinating flowers, and even affecting the herding paths of caribou in the tundra. Last, scientists are looking at the mosquito for potential medical treatments. Mosquito larvae are aquatic insects and, as such, play an important role in the aquatic food chain. 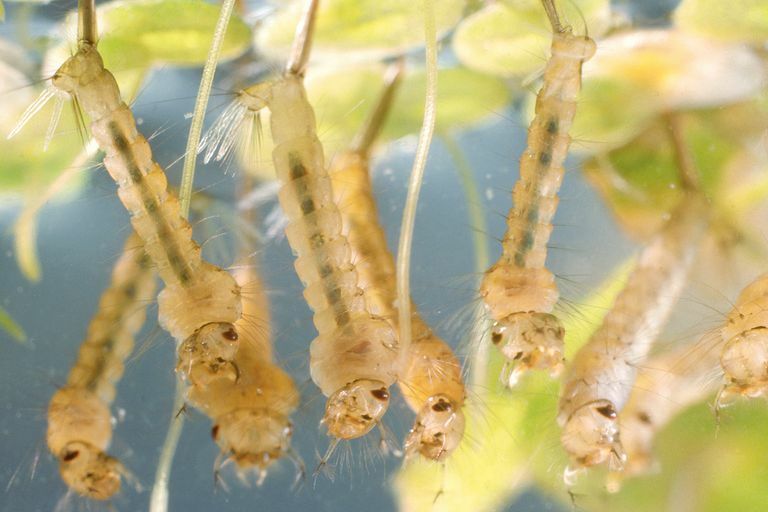 According to Dr. Gilbert Waldbauer in "The Handy Bug Answer Book," Mosquito larvae are filter feeders that strain tiny organic particles such as unicellular algae from the water and convert them to the tissues of their own bodies, which are, in turn, eaten by fish. Mosquito larvae are, in essence, nutrient-packed snacks for fish and other aquatic animals. In addition, while species of mosquitoes eat the carcasses of insects that drown in the water, the mosquito larvae feed on the waste products, making nutrients such as nitrogen available for the plant community to thrive. Thus, the elimination of those mosquitoes might affect plant growth in those areas. A mosquito's role on the bottom of the food chain does not end at the larval stage. As adults, mosquitoes serve as equally nutritious meals for birds, bats, and spiders. Mosquitoes seem to represent a considerable biomass of food for wildlife on the lower rungs of the food chain. Mosquito extinction, if it is achievable, could have an adverse effect on the ecosystem. 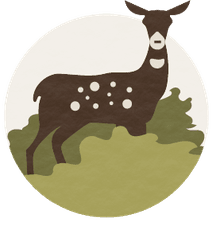 However, many scientists suggest that the ecosystem could eventually rebound and another species could take its place in the system. Only the females of some mosquito species need a meal of blood to get the proteins necessary to lay eggs. For the most part, male and female adult mosquitoes depend on nectar for energy. While retrieving nectar, mosquitoes pollinate plants to help to ensure that different types of plant life thrive. When mosquitoes pollinate plants, especially the aquatic ones around which they spend much of their lives, they help perpetuate these plants. These plants provide cover and shelter for other animals and organisms. Although the mosquito has been a known vector for spreading disease all over the world, there is some hope that mosquito saliva may have some potential use for the treatment of the No. 1 worldwide killer of humans: cardiovascular disease. One promising application is the development of anticlotting drugs, such as clotting inhibitors and capillary dilators. The composition of mosquito saliva is relatively simple, as it usually contains fewer than 20 dominant proteins. Despite the great strides in knowledge of these molecules and their role in blood feeding, scientists still know only about half of the molecules found in the insect's saliva. What Is the Deadliest Insect on Earth?